Anne met us at the train station and was very kind in helping with bags. The apartment is in a fantastic location. Restaurants and cafe's are easily accessible. Markets are within walking distance. We did not go without anything. The apartment is small, but feels spacious. It was very easy to hang out and relax when we did stay in. 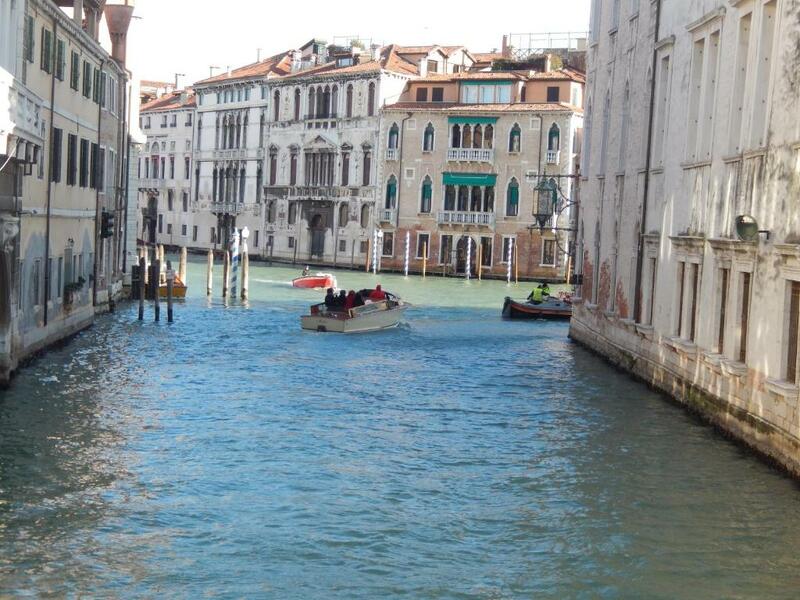 Venice is far more beautiful than I had anticipated, you cannot be visually bored here. Anne was extremely helpful in offering food suggestions and things to do. There is a book in the apartment that is full of great info about where you are and what is around you, but Anne was readily available if we had any questions. We had a great day getting lost on purpose, but always found our way back. I would definitely book here again. It's location was great.. good for local bars and restaurants and not far from bus terminal.. Host provided all necessities in flat (the stuff that many hosts do not supply and you often have to go out and buy like tea coffee etc) and was very generous and helpful..
Easy to communicate with the host. The apartment was clean and close to all amenities. 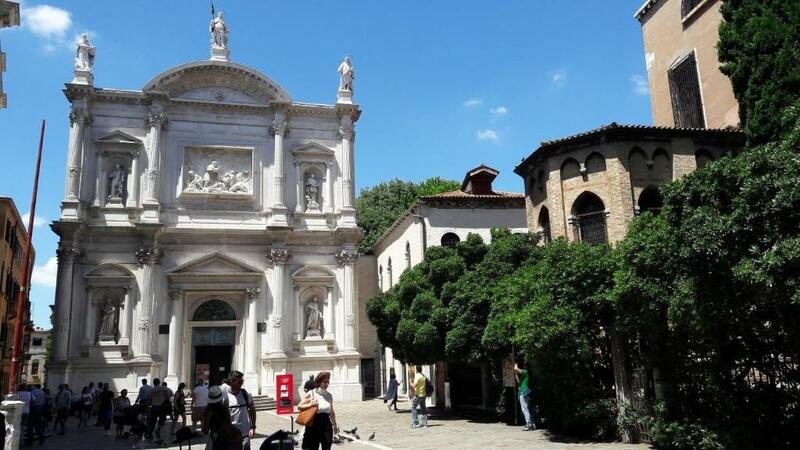 Great place near Campo Santa Margherita and Basilica Frari, with all important places (restaurants, cafes, supetmarkets...) within few minutes. In 10 minutes you can get to Ponte dell'Accademia, in about 20-25 minutes to Ponte Rialto and Piazza San Marco. Simple but comfortable design of the apartment, which is situated on the first floor. In the kitchen you can find all important dishes, so it is possible to make a breakfast or dinner or just coffee. We stayed in the apartment in September, so the lack of air-conditioning wasn't a big problem. 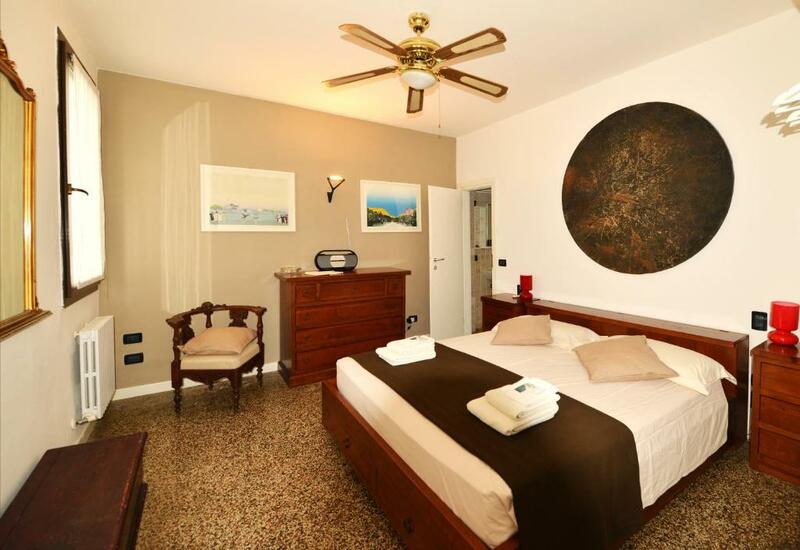 The owners of the apartment are really helpful, Andrea contacted us long before our visit, answered all the questions and on our arrival welcomed us at the bus station and helped with the luggage. 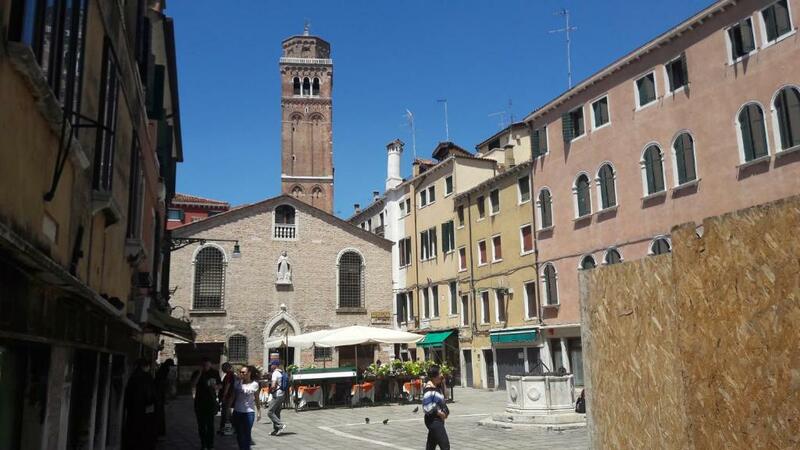 Overall, a really good place to discover the spirit of Venice! Location was ideal for the bus station and a three minute walk to the local Grand Canal landing stage. Email correspondence with the owner, Andrea, prior to travel was excellent. Thanks to Andrea for his kindness and welcoming to our family in Venice. Small little cosy apartment, not far from main sights (Rialto's Bridge and San Marco) and quite pleasant to spend a family weekend. By the morning when you open your window you can ear the sound of church bells ringing. Little shops,restaurants and supermarket close to this location. Only 10 minutes by walk from main parking places. L'appartamento è centralissimo e dottato di tutto il necessario per viverci e preparare da mangiare. Abbiamo avuto la sensazione di essere a casa propria. Il proprietario è una persona squisita. Ci torneremo volentieri. L'etablissement etait parfait et bien adapté pour trois personnes. Les lits étaient confortables. L'apartement était très propre. De plus, nous étions bien situés, tout était facile d'accès. En fait, tout était là pour que nous passions un sejour inoubliable. Nous recommandons cet établissement. Nous y retourneront. Merci à Andrea et Anne pour leur bon service. Отличное расположение, комфортные апартаменты, рядом много кафе. Очень приятный и заботливый хозяин. Идеально для автономного отдыха. Lock in a great price for Apartment Crosera – rated 9.1 by recent guests! 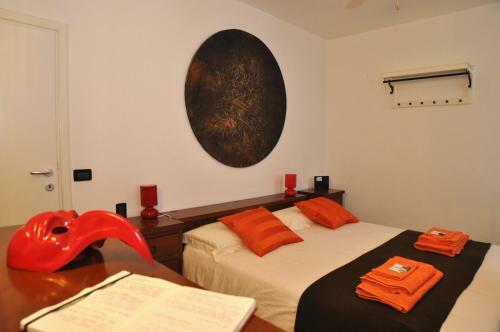 Offering self-catering accommodations with city views, Apartment Crosera is located in the center of Venice. Free Wi-Fi access is available throughout. Each apartment comes with a kitchen, TV and CD player. The private bathroom is complete with a hairdryer and a shower. 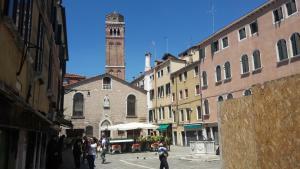 Apartment Crosera is a 15-minute walk from Rialto Bridge. Venezia Santa Lucia Train Station is 0.6 mi away. 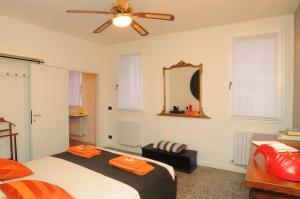 When would you like to stay at Apartment Crosera? This apartment comes with a kitchen, TV and free Wi-Fi. The private bathroom is complete with a hairdryer and a shower. Me and my family love to travel! We continue to do that as soon as we have time. It 'a good way to keep trained and above all not to forget what we like to receive in the places we visit. Of course, this also helps us to do the same when we welcome our guests!!!! I like the most ordinary thing in the world: be healthy and master of my time to fill it of travels, book, family and friends! 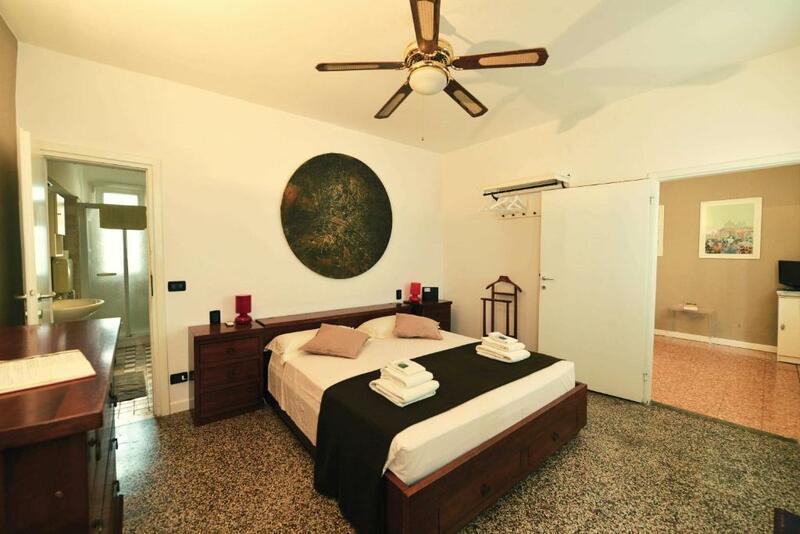 House Rules Apartment Crosera takes special requests – add in the next step! Please inform Apartment Crosera of your expected arrival time in advance. You can use the Special Requests box when booking, or contact the property directly using the contact details in your confirmation. Nothing significant.. it's quite small and all the rooms connect but that was no problem. 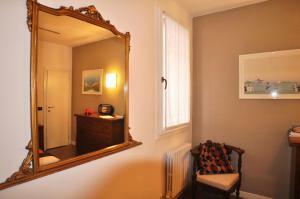 Location excellent & apartment cosy. The bathroom could have been wider.